BREAKING: TRISHA REPLACES ANUSHKA SHARMA IN TAMIL? Hindi film NH 10 directed by Navdeep Singh starring Anushka Sharma was a good hit that struck a chord with many. Now we have an exciting information for all NH 10 fans. This female-oriented action film will apparently be remade in Tamil soon. Sources in the knowhow reveal that Trisha has been approached to reprise Anushka’s role in Tamil. Updates are expected to come in soon and we would keep you posted! This page hosts a weekly slideshow related to Tamil movies. Each slide includes a picture and some description about that picture. All the slides will have a recurring theme. People looking for actress stills, actress images, actor stills, actor images, movie stills, movie images, and other interesting topics, relevant issues in Tamil cinema will find this page useful. BREAKING: TRISHA REPLACES ANUSHKA SHARMA IN TAMIL? 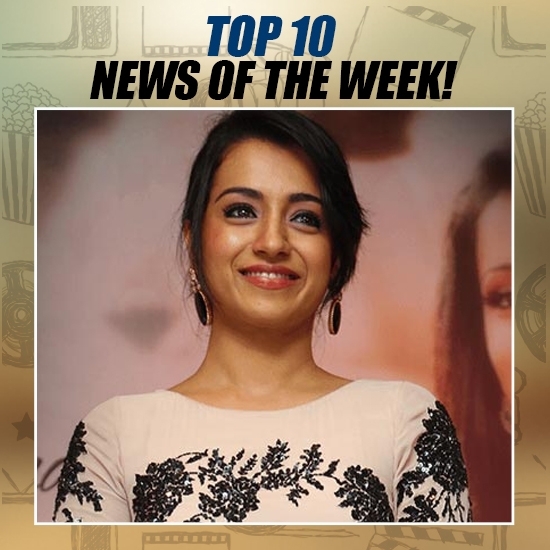 | TOP 10 NEWS OF THE WEEK (Oct 9 - Oct 15).